“So…? From here we begin?” asked my friend with a puzzled look. The blue, white and orange stripes swirled together and blinked at us for the first time one warm morning in the beginning of March. We had no idea what we were going to experience over the next two months, but probably this colored mark was going to play a big part of it. “If that incline is not going to take my life then there will still be a chance for the 1000 km ahead to do it,” said my other friend while we breathing heavily and sweating our way to the peak. No doubt, every step demanded my last breath in that incline, but when we got to the peak I inhaled new air to my body, that has remained in me until today. We started the trail from the south, so already on the first day of our journey the night filled the desert sky with millions of stars. We ate dinner and slide into our sleeping bags after an exhausting and satisfying day, counting the stars – because there is no need for a tent in the Israeli climate. From the variations of the desert to the historical Jerusalem mountains, follow the Yarkon river to Tel-Aviv famous boardwalk and having an enjoyable few days walking along the beach. Leave the coast climbing the evergreen mountain crossing the country from west to east through unbelievable valleys and forests. Make a drastic decline to the Great Rift, swim in the Kinneret, where Jesus walked on the water, climb through the river up to one of the highest mountains in Israel and take in the breathtaking view – keep walking and do not despair in one of the most prosperous and flourishing areas in the land, until the end. The trail, which passes through settlements, will meet you with an unusual, colorful and embracing society. You will have the opportunity to get in touch with our trail angels, honorable people that host the trail backpackers (most of them for free), who take you into their home and family, with only the request to listen to good story. 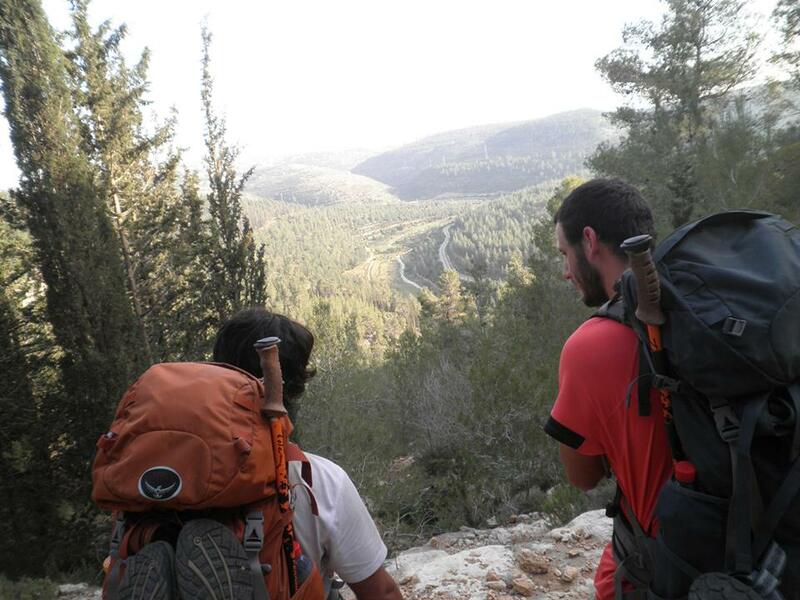 The Israel National Trail, that stretches from the north to south of the country, lets you discover a variety of outstanding pieces of land, and leads you through views and social textures that change repeatedly in front of your eyes and under your feet. The trail exists for years already and is well marked. It is a true national asset that connects the natural wonders for a shaking and meaningful experience that leaves an internal mark on those who walk it.